Bristol City have rejected a bid of £5 million for Jonathan Kodija, according to latest reports. Aston Villa are keen on adding the player to their ranks ahead of the forthcoming season but will have to put in more effort after their bid was snubbed. The Ivory Coast international had a lot of admirers with Sunderland, Middlesbrough, Stoke City and Everton linked heavily to the player, aside Aston Villa. Despite the snub, the Robins would have to do a lot to keep the player from joining another club in light of the numerous interests in him. 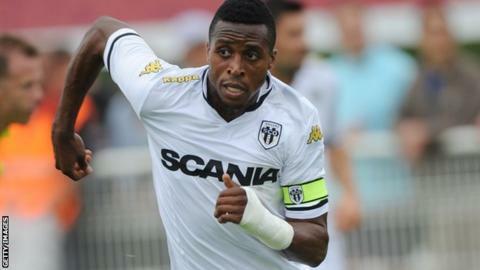 The forward joined Bristol for £2.1 million from the Ligue 1 club Angers. Steve Cotterill was the one who signed him and the 26-year old has gone on to enjoy a debut season. Kodija scored an impressive 20 goals to help him club stay afloat in the League, away from relegation. Aston Villa are hoping to make the quickest return to the Premier League and are set to splash the cash if they manage to sell off Jordan Ayew. Manager Roberto Di Matteo is leaving no stone unturned in his bid to get the best players at the right price to join him in his fight back to the top flight. Hamburg have submitted their bid of £8 million for the Ayew but the new owner of Villa, Tony Xia wants the player to remain at the club. On the other hand, Celtic boss Brendan Rodgers is keen on adding reinforcement to his team and he feels Villas’s winger Scott Sinclair is the right man. He is desperate for the services of the 27-year old player and The Sun reports that he has made two bids for the player but Villa have rejected both as they want at least £6 million for the former Manchester City man.